Surrounded by 50 acres of landscaped lawn, fruit trees, and lush, untouched tropical forest, Bolt House is nestled on a hill overlooking Port Maria's beautiful blue harbor. This is the view immortalized by Noel Coward in &quot;Room with a View&quot;. 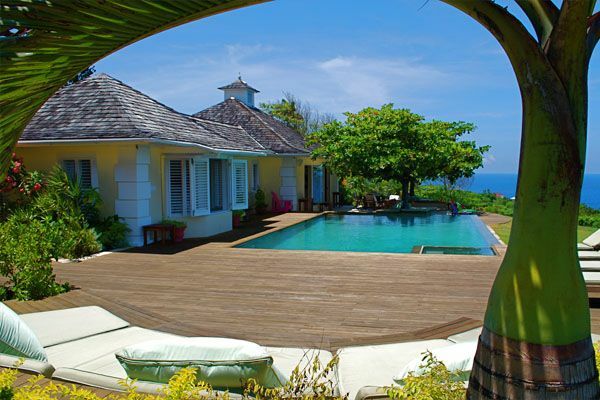 Augmenting this secluded five-bedroom private home, is access to the world famous Golden Eye beach and lagoon. Bolt House is an exclusive property with full-time staff including butlers, maid service, gardeners and security guards, who are committed exclusively to Bolt House and ensure that guests' expectations or personal attention, and privacy are met. The owner's personal chef is renowned for her Jamaican as well as Continental cuisines. Veronica pays particular attention to cooking only with the freshest of ingredients, most of which are harvested daily on the Bolt House property. Here you will experience exquisite and delectable appetizers, savory entrees, decadent yet health conscious desserts, and a menu loaded with delicacies to suit every palate. We will also accommodate visitors who have unique dietary requirements.